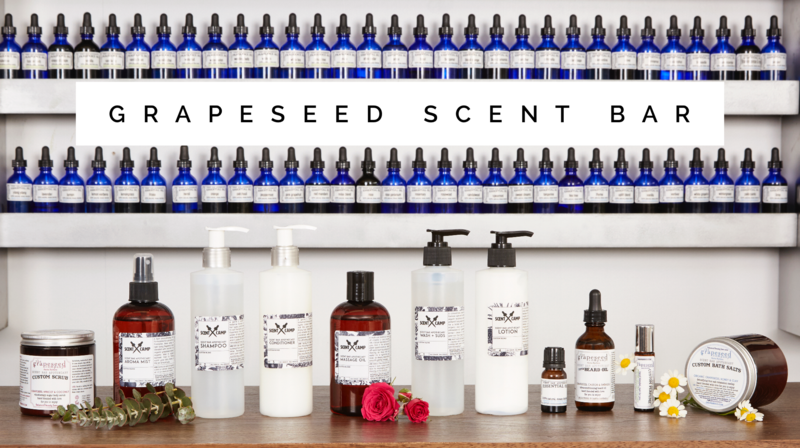 SCENT BAR | welcome to our virtual scent bar where you can create your own Grapeseed Co. products, just like in our Santa Barbara & Carpinteria Stores! Get creative and pick up to 3 scents to blend, then personalize your product with a custom name! Makes a creative, unique and fun gift or treat for yourself.